There are many speed boats from Lombok to Gili which is running daily from Teluk Nare and Bangsal. These speed boats are scheduled more than 4 times in a day, especially from Bangsal or Teluk Nare. Speed boat operators also offer the private ride to Gili Trawangan, Gili Meno, and Gili Air. The last departure of a speed boat is at 19.00. 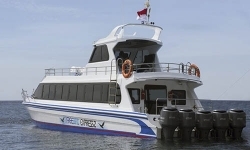 When you need to book the private speed boat to Gili, just contact us via e-mail or phone. 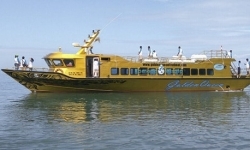 Gili Best Deal offer a special rate for a speed boat from Lombok to Gili. The boat operators are now scheduled six times in a day. The first-speed boat departure is at 06.00 AM. And the last departure is at 19.00. Lombok speed boat spends about 15 minutes to get to Gili Trawangan. And less than 15 minutes to Gili Air and Gili Meno. You need to check in 30 minutes before departure if you join the trip. We only offer the private speed boat trip from Lombok to Gili islands. Otherwise, if you want to get on the public one, you need to go via Bangsal. We also provide the cheapest Gili fast boat tickets from Senggigi to Gili Islands. It only departs one time in a day. 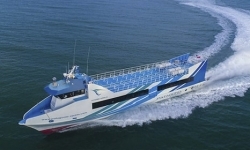 The fast boat operator is not provided free hotel transfers in Lombok and Gili islands. However, if you need hotel transfers from or to Senggigi, you need to pay an extra cost. Teluk Nare is about 25 minutes from Senggigi, and 1 1/2 hours fro the Lombok Airport. While if you stay in Kuta Lombok, you need at least 2 hours drive to Teluk Nare. Special offer when you book speed boat from Lombok to Gili online with us. All you need to do is complete the booking form we provide. And provide also your hotel details if you need a pickup service around Senggigi. Take a private car to get to Teluk Nare harbor or taxi from Senggigi, Mataram, and Airport. We also provide hotel transfers that you can book and pay online with the speed boat booking. Boat to Gili is most do with the private transfers. They will go straight when you arrive in the harbor. So you won't need to wait for the other passengers. 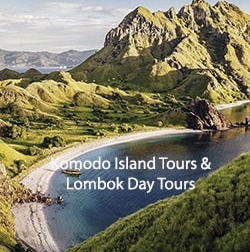 This also happens when you book the boat transfers from the Gili Islands to Lombok. How to book speed boat from Lombok to Gili? 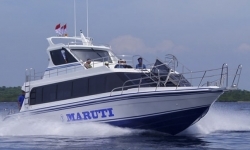 To book the speed boat transfers to Gili islands, you need to go to the search box at home page. Select the departure from Lombok and destinations Gili island (Gili Trawangan, Gili Meno, and Gili Air). On your e-tickets, there will show the contact details for the speedboat operator or our reservation contact. Show your tickets to the boat staff for the boarding pass. Boat staff are less in English, so you have to understand them during the boat transfers. When you get to Gili Islands, there might be Cidomo come appear you and offer you hotel transfers. You need to pay extra for them. Cidomo price is listed on the front desk of the horse cart. Price depends on the hotel location you stay in. If you take return transfers, you need to call us one day before to reconfirm your ticket. Our numbers or e-mail are listed on your e-tickets or booking confirmation. Inform us if you are having a problem during the trip on fast boat Bali Gili.